Africa has a serious unemployment problem, especially amongst young people on the continent. That much is clear from the statistics. The World Bank says unemployment in South Africa is higher now than at the end of apartheid, with almost one-third of the labour force out of work. Unemployment in the 15–24 age group is approaching 50 per cent, double the national rate. Unemployment among Kenyan youth is now estimated to stand at 17.3 per cent, according to the same organisation. Unemployment in Nigeria is spiralling upwards. Part of the blame for this is laid at the door of African universities, but educational institutions on the continent are at least doing something to prepare students for post-university life. And that is to ensure they are properly prepared to start their own businesses, in the hope unemployed youth can become job creators themselves. From the C4DLab at the University of Nairobi, to the Bertha Centre at the University of Cape Town, to @iLabAfrica at Kenya’s Strathmore University, entrepreneurship has become a key focus of a number of African universities, bidding to encourage students to launch their own businesses once, or even before, they graduate. These universities are replicating successful models from abroad, such as the US knowledge regions of Route 128 – which developed around MIT – and the renowned Silicon Valley, which developed around Stanford University. Key knowledge regions have also developed in Europe around universities, such as the Sophia Antipolis high-tech park in Cote d Azur, France and the Leuven region in Belgium. Philip Marais is chief executive officer (CEO) of Stellenbosch University’s incubator LaunchLab, which is very active in the space, running pitching events and recently partnering MultiChoice to run a media innovation challenge. Marais says society globally has thus far been fostered to believe higher education is the only pathway to a career, professional advancement and success. Yet this is changing, especially in Africa. “With the increase in uncertainty in employability mainly brought on by the ever-increasing pace of advancements in various industry sectors, we need to expose students to the possibilities that entrepreneurship offers,” he said. Angelica Kiboro, entrepreneurship and partnerships manager at the @iBizAfrica incubator at Strathmore University in Nairobi, says the encouragement of entrepreneurship fits into the existing mandate of universities, which is to provide an environment conducive to imparting knowledge, information and ideas. “Universities are key players in the global system as they equip citizens with requisite knowledge and skills sets to enable them contribute to development on an individual, organisational, national and global level. This has direct impact on development on all these levels. Entrepreneurship merges the theory with the practical,” she said. Whereas many entrepreneurs launch startups with simply an idea and little or no idea how to run a business, universities provide the perfect launch pad, Marais says. “With publicly funded infrastructure, world-class expert researchers, promising future leaders, bright young minds and skilled student interns, imagine a hub at every tertiary institution in Africa from which promising, thriving entrepreneurial ecosystem can be build,” he said. Kiboro agrees, saying good business ideas do not necessarily guarantee entrepreneurial success. “Universities equip students with the necessary skills required to run an enterprise. Upcoming student entrepreneurs require a conducive environment that will facilitate networking both within and outside of the ecosystem,” she said. 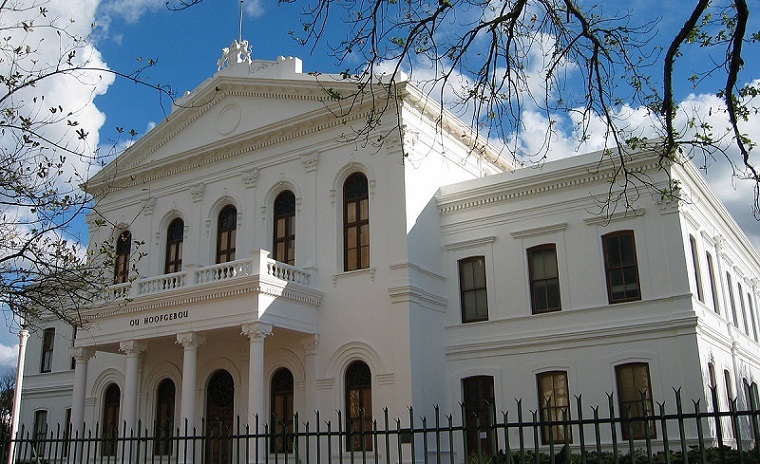 There are benefits for the universities too, with Marais saying the existence of the LaunchLab increases the competitiveness of Stellenbosch University, better placing it to attract the brightest of minds. Kiboro says when universities promote entrepreneurial spirit it is a win-win situation for both the students and the university fraternity. “Having educated entrepreneurs is a positive for global development and leads to sustainable development over the long haul,” she said. Yet more can be done by African tertiary educational institutions to incorporate practical entrepreneurial activities within several arenas. The curriculum is key. “Within the academic courses there is need to have mandatory entrepreneurial skills incorporated within the curriculum,” Kiboro says.